Our founding Sisters, the Ursulines of Cincinnati, started Saint Ursula Academy based on the teachings of Saint Angela Merici. Saint Angela founded the Company of Saint Ursula in 1535. At that time, the young women of Brescia, Italy had two options in life: they could marry or enter a cloister. Angela gave them a new option: they could live with their families and stay at their workplaces, while living a life dedicated to God and to the service of others. The inspiration of this brave, innovative young woman is at the foundation of our mission and core values today. 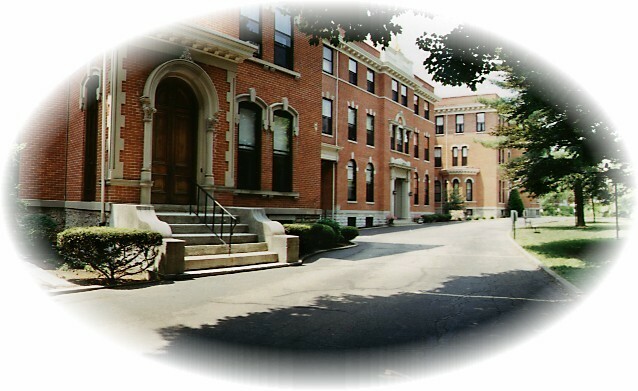 Based on St. Angela's teachings and the example of the Ursulines of Cincinnati, Saint Ursula Academy has developed a culture and programs to ensure our students are developing their whole person through education, faith, character development, appreciation for the differences and gifts of others, and Christian service to our community and the world. Faith, integrity and courage accompanied our founding Sisters when Saint Ursula Academy opened 1910, over 100 years ago. These values guided the Sisters and the stewards of Saint Ursula Academy. Saint Ursula has set the standard for growth and prudent change for decades to keep Saint Ursula Academy a top choice for education. Nurtured and inspired by dedicated alumnae and parents, Saint Ursula students, faculty and staff live the Saint Ursula mission every day with their unparalleled passion for learning, shared vitality, expertise in the classroom, and unyielding commitment to personal, spiritual and academic growth. They share a commitment to educate women of faith, integrity and courage committed to building a better world. St. Angela Merici laid the foundation for the Ursulines of Cincinnati. 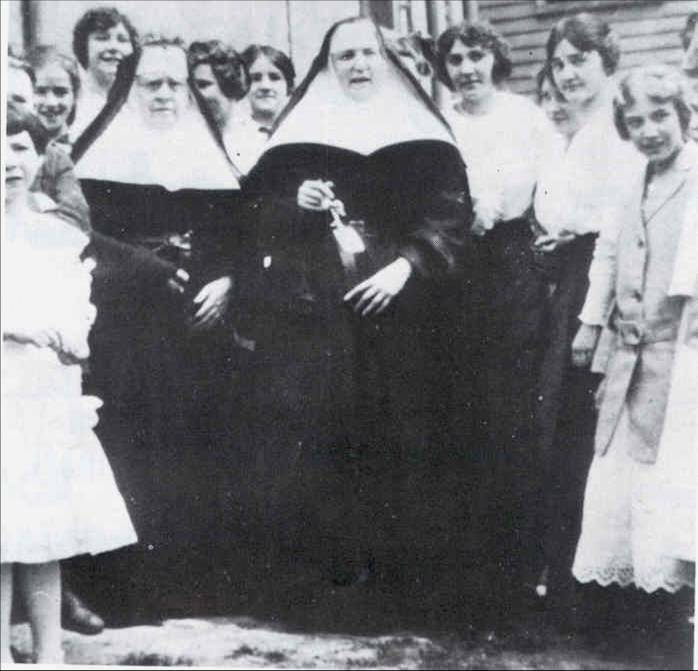 The original 20 sisters traveled to the city from Brown County, OH, at the request of Archbishop Henry Moeller, who asked them to educate the children of a new wave of immigrants in local parish schools. Mother Fidelis Coleman and Mother Baptista Fraener started Saint Ursula, where young students could receive a broad education, one based upon a foundation of knowledge and personal fulfillment. They chose to establish their community and Saint Ursula Academy and Convent in East Walnut Hills, a diverse neighborhood perfect for carrying out their mission of service, education and development of the whole person. Anyone whose life has been touched by Saint Ursula Academy knows that it is more than a place of learning, it is a family and a community-based in rich Ursuline tradition. For over 100 years, girls have come from across the Greater Cincinnati area to 1339 East McMillan Street to receive an education rooted in Ursuline values. The neighborhood provides Saint Ursula students with a unique "neighborhood classroom" rich in cultural attractions within walking distance and the downtown area within a five-minute drive. Guided by a talented and dedicated faculty and staff, who carry on the tradition of the founding sisters, thousands of young women have developed their potential and become Academy Alums: Reflective Thinkers, Leaders who Serve the Community, Nurturers and Prophets who live their beliefs in the world. 1910 Mother Fidelis Coleman and Mother Baptista Fraener founded the Ursulines of Cincinnati. Saint Ursula Academy opens its doors on September 17 with 63 students from K-12. 1911 Saint Ursula Academy moves to current location, 1339 East McMillan Street. 1914 Maria Longworth Storer, founder of Rockwood Pottery, assists with the building of the chapel and the west wing addition, which opened in 1916. 1925 Ursuline Sister, Sr. Mary Carmel, was the first women to receive a doctoral degree from the University of Cincinnati. 1953 SUA purchased two houses next to the Academy on Upland Place, named St. Joseph and St. Genevieve, where Schott Hall sits. 1955 Saint Angela Hall (Theater) built and dedicated. 1962 The LeBlond mansion in Mt. Lookout became the home of St. Ursula Villa, kindergarten through grade 6 moved to the new campus. 1965 Principal, Sr. Rose Angela started advanced placement courses and career-orientated internships for seniors. 1967 The East Wing is completed, adding classrooms, a library, and the creation of the Guidance Department. 1973 An addition at Saint Ursula Villa, allows the junior high to be moved to the LeBlond Mansion. 1983 The Educational Services Program is established. 1994 The Ursulines of Cincinnati incorporated Saint Ursula Academy separately and vested governance to the board of trustees.